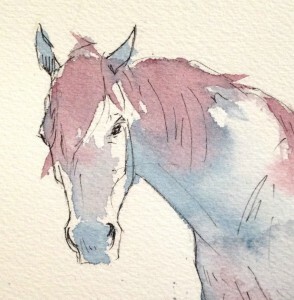 Watercolor and ink sketch of a warmblood horse. Original available for sale, framed, on Etsy. 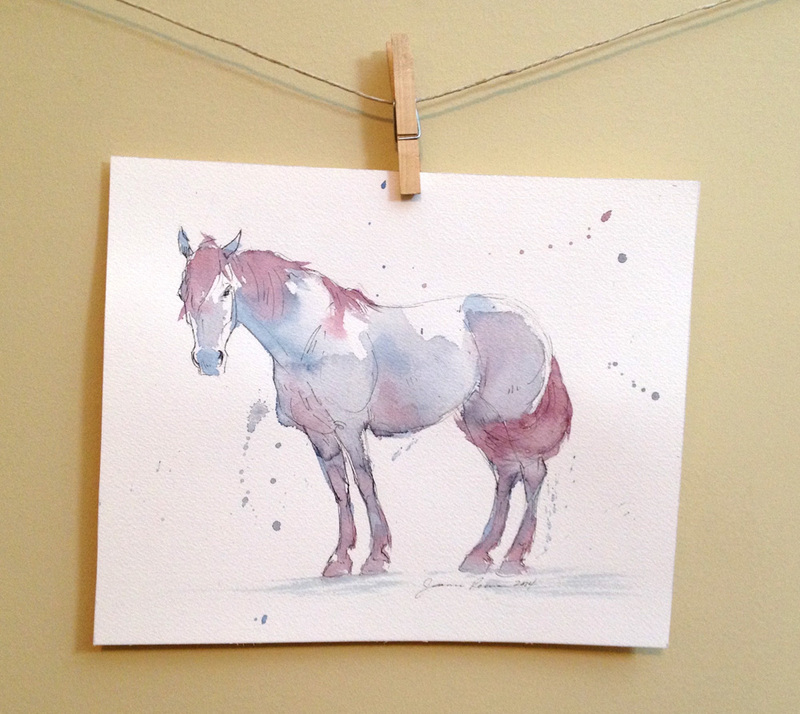 This piece won third place in the Wabash Valley Art Guild 2015 Spring Show mixed media category. 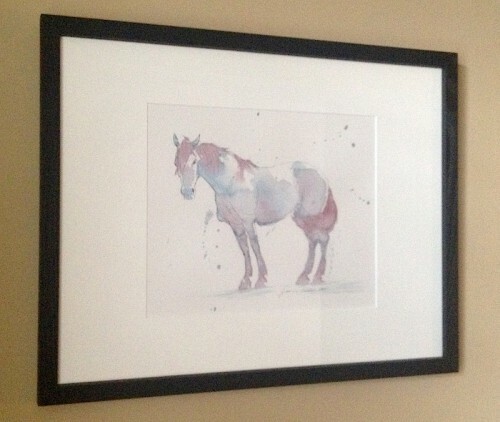 “Purple Horse” framed. In simple black wooden frame with a slight wood grain. External dimensions 15″ x 19″. 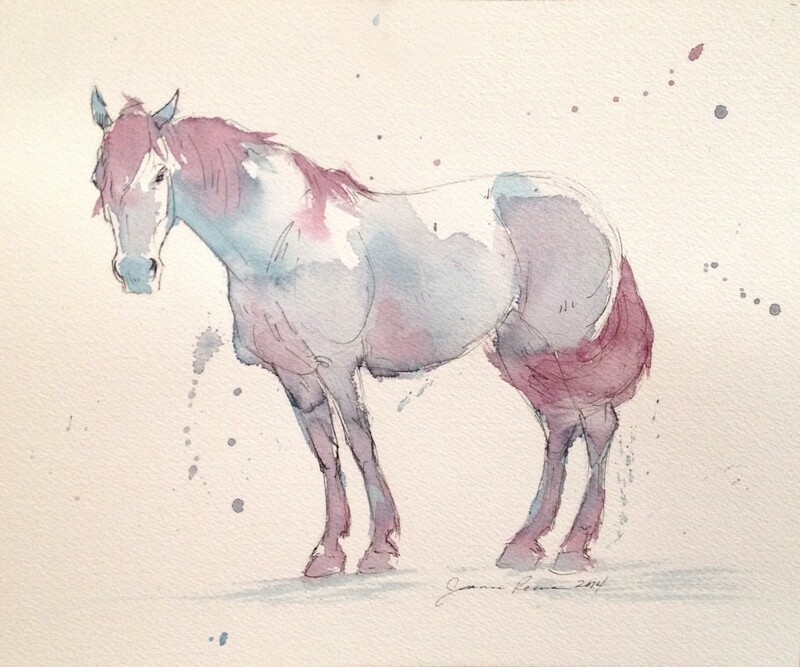 This entry was posted in Ink Drawings, Watercolor and tagged Blue, ink, painting, pink, purple, Sketch, warmblood, watercolor, white. Bookmark the permalink.